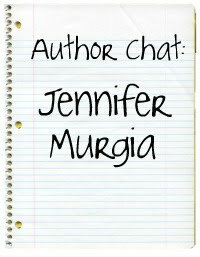 We have with us today the author of Angel Star, Jennifer Murgia! When I was in third grade, we were learning poetry. I LOVED it! That combined with growing up as an only child, I had an enormous amount of imagination stored up. I was also a voracious reader as a child. When I would run out of stories, I would invent my own. 2. How long did it take you to write Angel Star? It took me exactly eight months. That included my own editing and revising. I'm a jumper. My brain is packed full of scenes and character conversations that I tend to jump forward or backward in a story, write what’s in my head and then go back. I can’t sit down and write from the beginning to the end. That just doesn’t work with me. I really have many, many favorites but one of my all-time favorites is A Great and Terrible Beauty. I love books about magic and other worlds. I also deeply love gothic tales, so the Gemma Doyle series is a sure winner with me. I love to read! I also like to get goofy with my kids - oh, and I’m addicted to Klondike on my iPod. 6. Could you describe your novel in seven words? Girl and Guardian Angel battle dark evil. one was that I finished. When you have so many thoughts in your head, it’s hard to imagine it ever becoming a final. I became so attached to my characters and the world they lived in, that I couldn't stop writing about them! I am also the type of person to want to change things ALL THE TIME. Editing was a process that could honestly last forever with me. It was a sheer wonder that I could say I was finished and close my computer and walk away! 8. Do you have any suggestions to help others become better writers? If so, what are they? Write for yourself. I believe there's a story in each of us and if you can find the key to unlock it, then let it out. You are the most important audience and if the story can live up to your standards first,then you can unleash it. 9. What do you think makes a good story? Why? The world building. If a story draws you into its scope and keeps you there, then it’s a winner. 10. Do you think that you will continue to write books? If so, what genres are you interested in writing? Oh absolutely! LEMNISCATE, the sequel to ANGEL STAR, is about to enter the editing stage with my publisher and I have so many other ideas. I think I’ll stick with YA for a while – it’s what I feel very connected to. I tend to let my dark side out when I write so it’s definitely the paranormal I’ll be sticking with too, though I would love to try my hand at historical fiction. 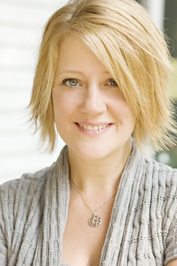 Be sure to check out her novel, Angel Star. It's hitting the shelves on May 18th! To watch the Angel Star trailer, click HERE. 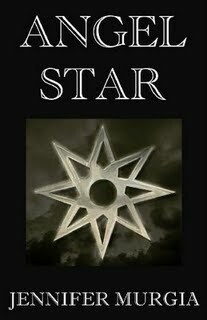 To read my review of Angel Star, click HERE. I'm dying to read Angel Star and hopefully can really soon. The sequel is already on my radar!